The big news of July 2013 sales figures is that Ford EcoSport has beaten the market leader so far, the Renault Duster. EcoSport sold 4715 units in July, while Duster sold 3089. 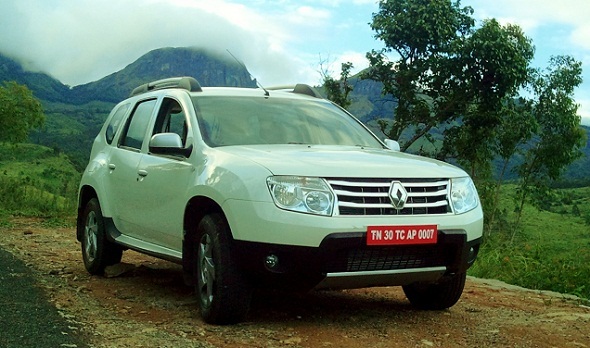 In June, Duster had sold 4523 units, so we are seeing a dip of around 1400 units for the SUV. The news should make Ford very happy indeed. 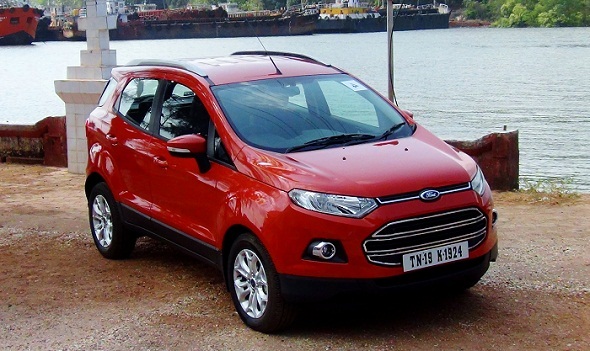 With the EcoSport, Ford has entered into the list of top ten manufacturers in July. Even the much bigger in size Mahindra Scorpio seems to be affected, though mildly, by the EcoSport. Scorpio sold 3628 units in June while July sales were 3256. In spite of new launches like the Honda Amaze and the Ford Ecosport registering good sales numbers, July 2013 was another cold month in terms of sales for the Indian auto Industry. Even popular premium hatchbacks like the Maruti Swift and Hyundai i20 registered dips. The dip in the premium hatch sales could be due to the overall slowdown, however, and not directly related to EcoSport. Year on Year sales are down by 8% while on a month to month comparison, Jan-July 2012 Vs Jan-July 2013, sales are down by 10%. Maruti Suzuki is the top gainer for this period with a 5.6 percentage points followed by Honda at 4 percentage points. However, both our local biggies, Tata Motors and Mahindra have lost 7.5 and 2.3 percentage points respectively. The top 10 selling cars were the Maruti Alto, Maruti Swift Dzire, Maruti WagonR, Maruti Swift, Mahindra Bolero, Hyundai Eon, Hyundai i10, Honda Amaze, Hyundai i20 and the Ford Ecosport respectively. On the topic of maintaining consumer loyalty, it is disheartening to note that Tata Motors has now slipped to 6th position in the country behind Maruti, Hyundai, Mahindra, Toyota and Honda. This is in spite of the fact that Tata Motors has a widespread line up of products, right from the Rs. 2 lakh Nano to the Rs. 18 lakh Safari Storme. While Tata Motors has been improving continuously in terms of its products, its marketing approach and service experience need a complete overhaul. In fact, once Ford begins to manufacture enough Ecosports, it would not take it long to overtake Tata Motors unless the Indian major wakes up and sprints, in the right direction. August in likely to be a similar month in sales if not lower since most people avoid buying cars during the monsoons since they wait for festive season discounts and auspicious days that begin by the 2nd week of September.